Home Tips How to build and create quality backlinks to your blog? How to build and create quality backlinks to your blog? So what is our goal to build backlinks? The ultimate goal is to make our website more popular in the eyes of search engines, such as google.com. Websites or blogs that have a lot of quality backlinks usually will get special attention from the search engines, and search engines will place your website / blog on the main page of search results for certain keywords. How to build and create quality backlinks to your blog? The initial idea is a social bookmarking site that allows users to save URLs or links from sites that they like so you can easily find when they want to reopen. In its development, the social bookmarking site widely used by SEO experts to help popularize a web page in search engines. Search engines like Google are also exploring the social bookmarking pages to determine which web pages are often stored by internet users. And of course this will affect the search results in the search engines. Article directories are often used for marketing and backlink building. We can build backlinks from the article directory sites and how to create quality articles submitted to article directory sites. Many article directories are already very well known today, for English as Ezinearticles.com, Articlebase.com, and others. Blogwalking are activities visit other blogs and leave comments, and we could leave our website URL posted on the comments. There are two advantages of blogwalking activities, the first is we get a backlink, and the second is a direct visit from the owner of the blog as well as others who commented on the blog. Its very important to remember is to give good comments and not carelessly so as not to be considered spam by the blog owner. Prior to leaving comments on the blog should read the article, then please leave a comment that is associated with the article. Do not give the origin of the comments, such as "Nice article, thanks yes", "thanx dude", "Wow just knew ya", and other comments that are too short. Become a guest blogger on a blog that has been established is a very powerful way to make your blog popular fast. We can be a writer on another blog - of course with the permission of the owner of the blog - and we posted a good article and appropriate to the topic in the blog. In the biography of the author introduces himself and we can also put a link to our web / blog, two benefits at once; backlinks and visitors. Currently a lot of forums that can be found on the Internet, ranging from the forum gamers, publishers, entrepreneurs to a forum. One very famous forum is https://forums.oneplus.net/, various topics are discussed in this forum. Besides https://forums.oneplus.net/, which is already very well known forum is ads-id, which is the publisher of the forum in US. Ads-id.com forum members are verified and donors are given the facility to attach a signature where the signature would look at every post that we send in the forum. Put up a link to our web / blog in the signature course will provide an advantage for us, that quality backlinks and also visistor of the forum. Backlinks from social media sites is very high quality backlinks, for example backlinks from Twitter, Google Plus, and Facebook. Although usually backlinks from social media sites are nofollow, search engines like google keep account. In addition to the backlink of course we will also get visitors from our friends or followers on social media. Therefore, should any web / blog that we build must have their own social media accounts, such as a Facebook fan page and twitter account. With so many friends or followers on social media websites would be very easy to create a web / blog became popular, of course, we also need to be active in social media. Backlinks from websites press releases are quality backlinks, other than that a press release is potentially provide traffic on your web / blog. If I notice in US has not been so popular in using press releases for website promotion and backlinks building activities, typically only used by large corporations. Unlike abroad, press release sites is very often used for promotional activities and building backlinks a website, be it for small, medium and large companies. In addition to create a free blog, web 2.0 is also often used for activities to bring up backlinks. 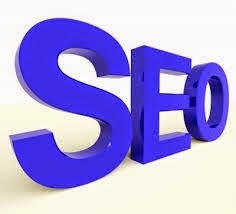 And of course the backlinks of Web 2.0 is very effective in our SEO activities because the average Web 2.0 is a high authority in the search engines, in other words, Web 2.0 is already trusted by search engines. Some Web 2.0 is often used for building backlinks is; Blogger.com. WordPress.com, Blog.com, Blurty.com, Webs.com, Livejournal.com, Gather.com, and much more. Actually there are several ways to build backlinks to your website / blog, and will be discussed in the next article. If you have a different way or have any input on strategies to build backlinks please provide feedback via comments below.